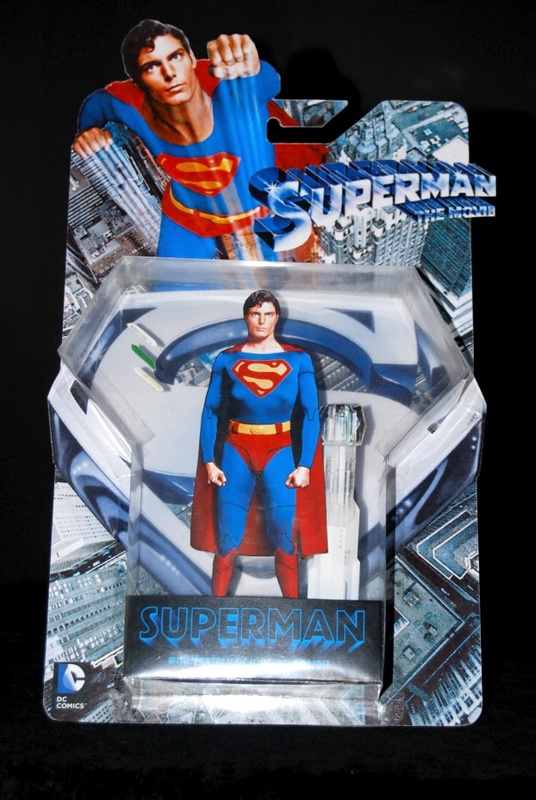 Now that the merchandising powerhouse behind the upcoming Man Of Steel movie is starting to fill shelves with product across the globe, SUPERMANIA once again endeavours to campaign for a typically retro alternative. Ironically, this project was initiated by the fresh availability of the Batman 1966 TV series licence, which, encouragingly, has been embraced by the industry and is being fully exploited even as a forty plus year-old property. 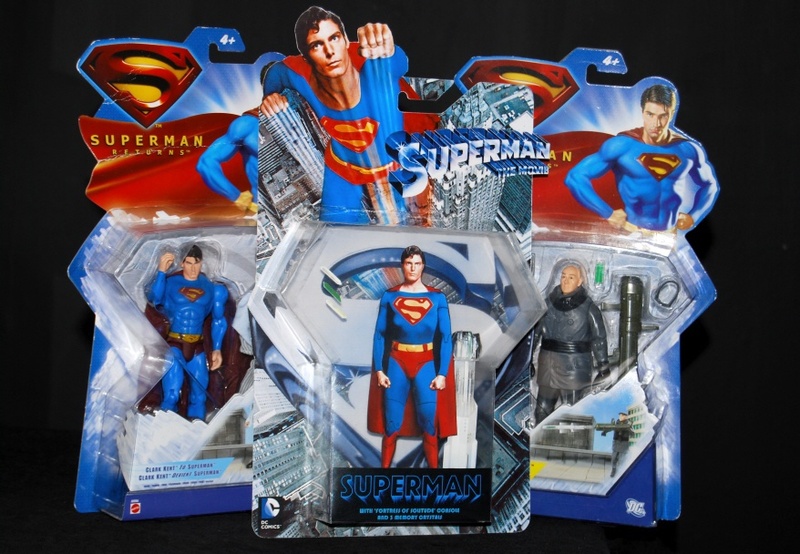 Frustratingly reamining unexploited is the ‘classic’ Superman movie series, which, despite having an equally broad, vocal fanbase, has yet to spawn a modern action figure line. 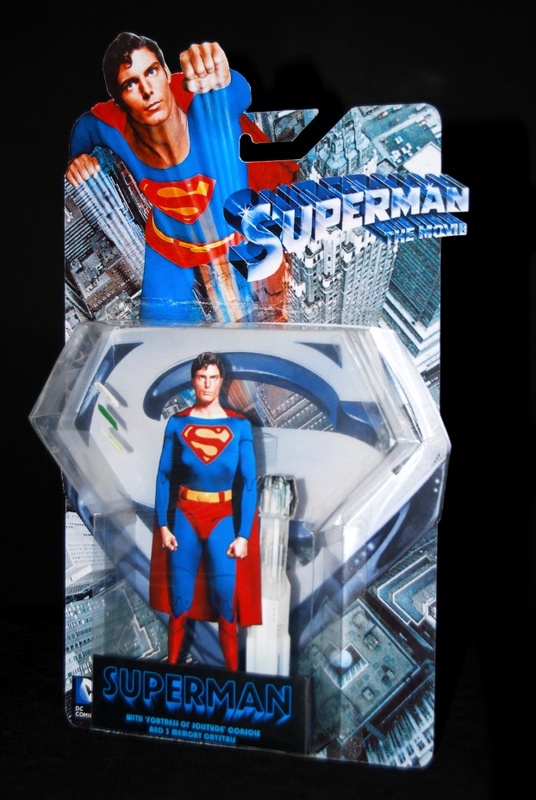 Although DC Direct and Mattel continue to pump out various incarnations (of debatable quality) of the Superman character, arguably the closest embodiment of the version represented in the movies has not been seen since Kenner’s Superpowers line of 1984. 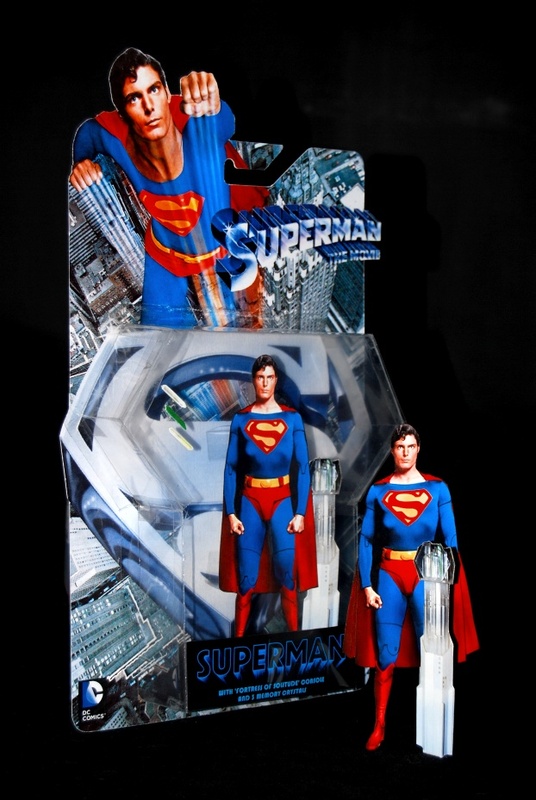 Superman fans have clamored for a figure line based on the series ever since. In recent years Mattel had gone a great way to alleviate this by producing a totally unexpected line of 12″ adult collector figures (reviewed here, here and here) offered exclusively on mattycollector.com. While these were a welcome surprise, in retrospect, Mattel had probably passed on a better opportunity by not optioning a 6″ line first. Cut back to 2013 and Mattel are not only full-force behind Man Of Steel but recently unveiled their Batman ’66 line to the amazement of fans that have waited literally decades for the opportunity. If nothing else, it proves how fickle the industry is and that all good things come to those who wait. Meantime, inspired by the fabulous art-direction of the new Batman lineup I sought to create something I thought would be passable as a parallel addition. A pure wish-fulfillment project I’ve considered many times before, it wasn’t until I saw that Mattel had used a cardboard figure of Batman in their prototype packaging that I believed such a thing could be replicated low-tech by hand and look credible. Absolutely OUTSTANDING! It truly looks like a legitimate release and I would have loved to find something like this on the shelf in the toy stores at the time the movie was released. Let’s hope this is something that we’ll see sooner rather than later but I doubt any toy company packaging department could do a better job than what you’ve presented here. Thanks so much for the great notices, if nothing else it means I fulfilled my brief to rekindle some enthusiasm for an official release. And while we’re at it, just as suggested lets have a Fortress playset with working Jor-El projection and sound chip – Could you imagine how cool it would be to have that…??? ?